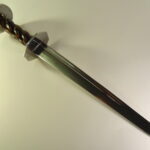 Hand-forged blade made of carbon steel. 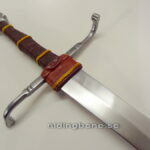 Handle and blade are double-bolted. 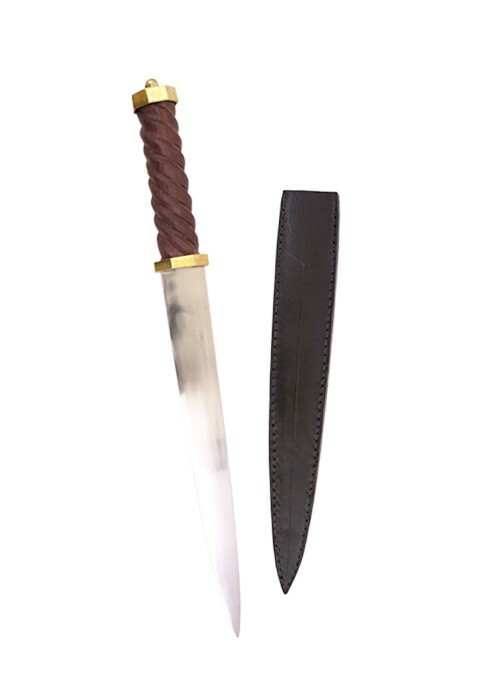 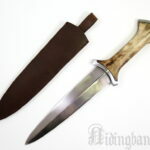 Includes leather sheath with belt holder in back.